When many people think of Rwanda, the first thing that comes to mind often is the 1994 genocide in which upwards of 800,000 people were killed. Despite this troubled past, Rwanda’s story today lies not in “how tragic” but rather in “how far” the people of this country have come in the intervening years. Nowhere is that progress more evident than in its efforts to educate its youngest citizens. 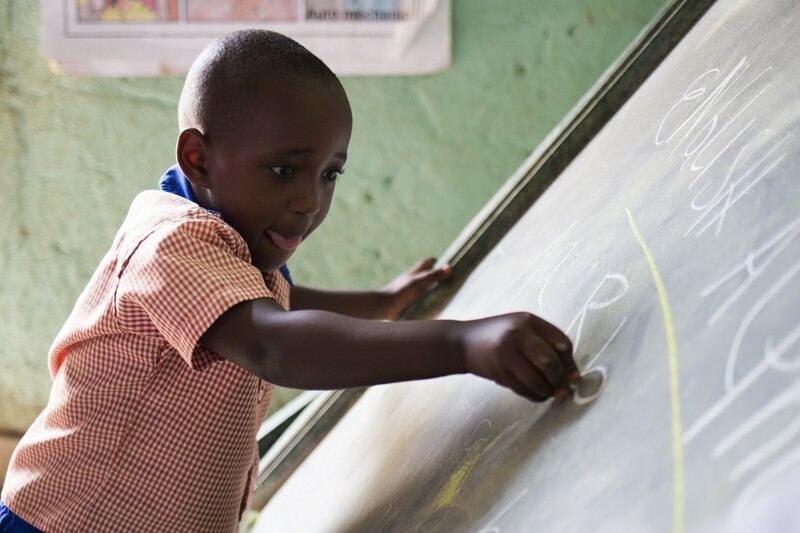 Over the last few years, Rwanda has expanded primary school education to all students. Now, with the help of donors like the U.S. Agency for International Development (USAID), Rwanda is focusing on improving the quality of its education system — especially in the teaching of primary school literacy — so that all children achieve the learning necessary to succeed in school and to escape poverty. 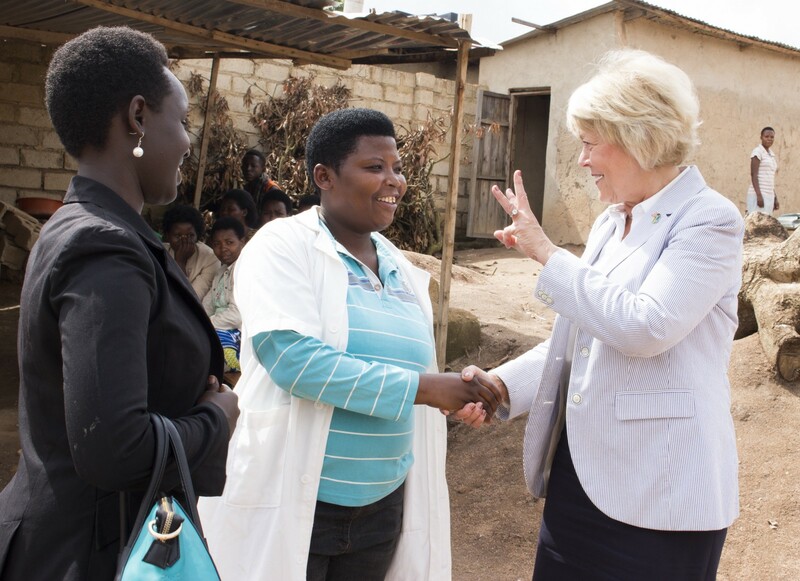 Over three days in May, I traveled to Rwanda to talk with students, parents, grandparents, teachers, book publishers, principals, and government leaders to see just how far Rwandans have come and to capture the challenges that still lie ahead. We know that literacy in the early grades is a foundational skill for students. Students must learn to read in order to read to learn. To build this culture of reading, Rwanda is bringing people and communities together in innovative ways. What follows is my travelogue — my own distilling of a nationwide effort to bring reading to the children of Rwanda. 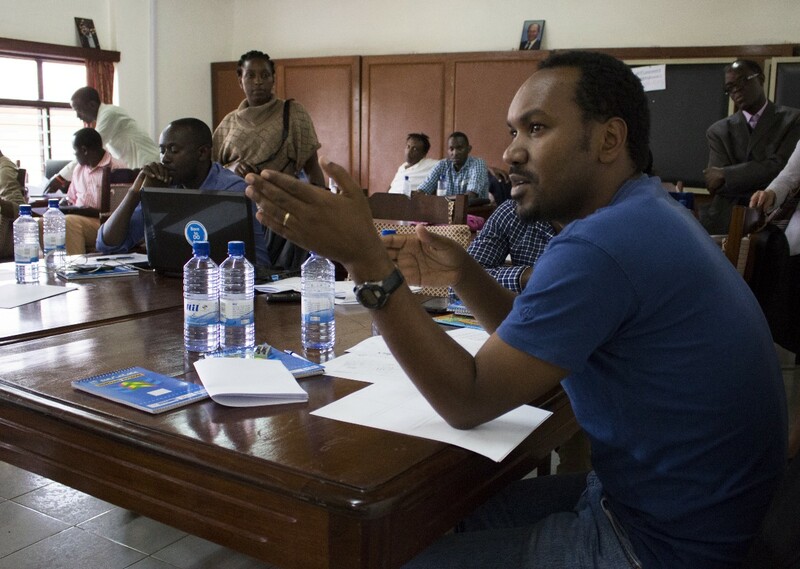 Community participation is a cultural trademark of Rwanda. One Saturday each month, the entire country comes together to participate in community service projects called “umuganda” (meaning “bringing energies together”). It seems a natural extension of this cultural commitment to service to bring parents and communities together to support reading in the home. 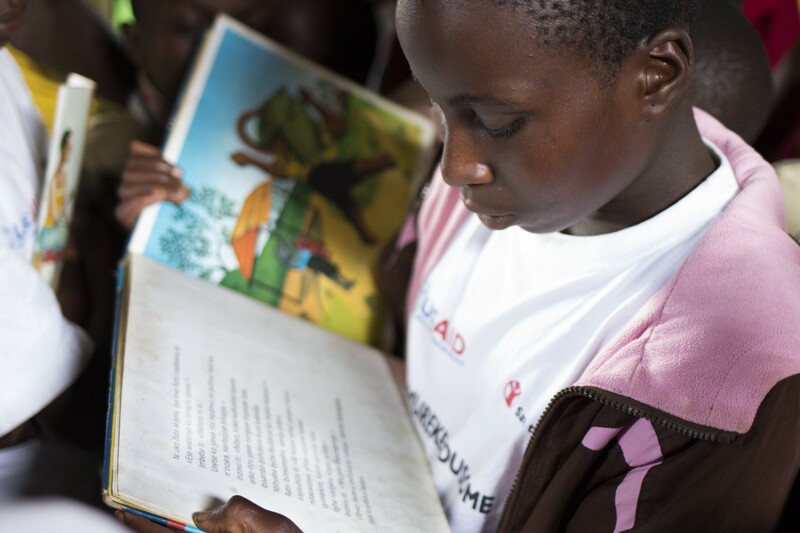 The Mureke Dusome project (“Let’s Read”), which is funded by USAID and implemented by Save the Children, helps communities support their children’s reading. Even if parents are illiterate, they can often write the alphabet and can still foster their children’s reading skills. 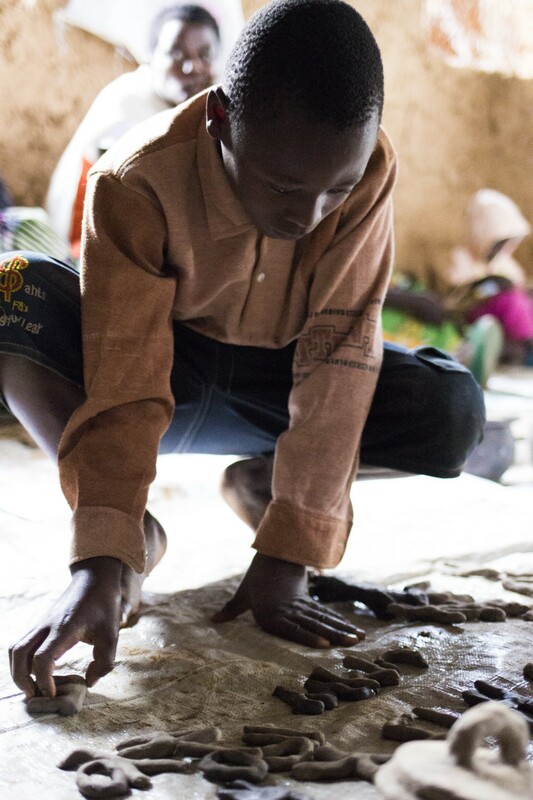 In the northern mountains of Gicumbi District in the village of Rwamuhuha, parents and town elders use ink made with local red soil to create reading materials for their children. The community gathers to listen as their children and grandchildren read aloud in groups in their after-school book clubs. 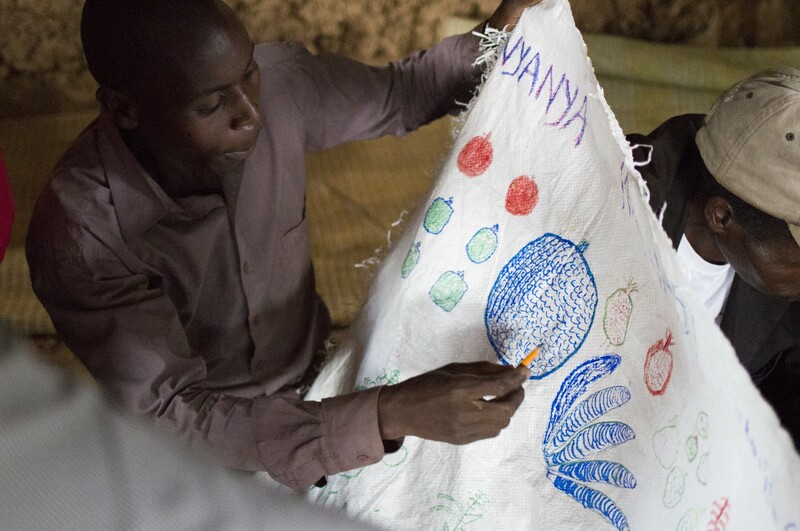 Books in the local language (Kinyarwanda) are scarce in Rwanda’s rural communities, so families use local materials to create reading and learning materials for their children. They recycle cardboard into book covers, write lessons on rice sacks, and shape twigs wrapped with banana leaves into letters which children can move around to make words. These parents want their children to know that they support their teachers and care they are learning to read. School aged children share books with their preschool brothers and sisters. 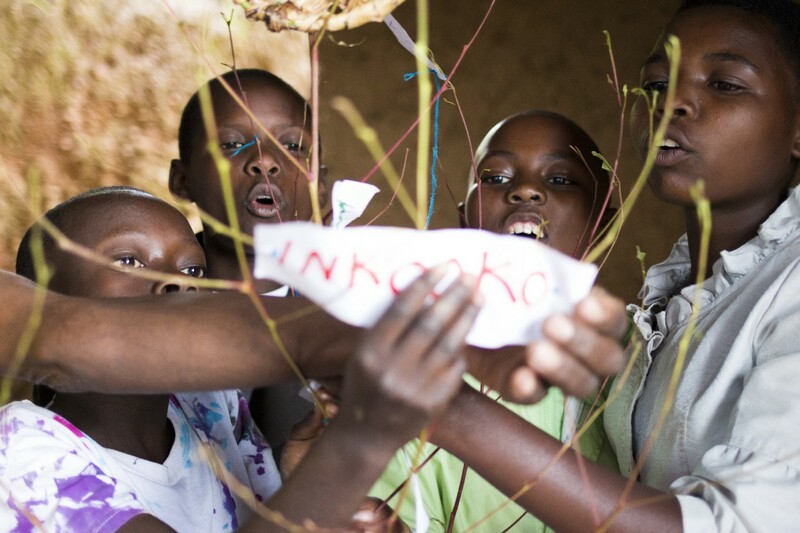 In groups led by local volunteers trained by USAID, they hang word cards on a tree and practice identifying letters and sounding out words. It’s pouring rain outside, but there is a buzz in this open-air church-turned-community center as local volunteers lead reading activities for children. On the sidelines mothers and grandmothers tending babies beam proudly and laugh as they watch the children take turns at reading aloud or spelling their names with letters the elders have crafted from clay and other readily available materials. Wearing her Mureke Dusome (Let’s Read) t-shirt, Diana reads aloud to her friends during the after-school book club. Book clubs like this one will be created in communities all over the country during the next four years. Literacy is a shared effort not just at the community level, but also at the level of governments and international donors. 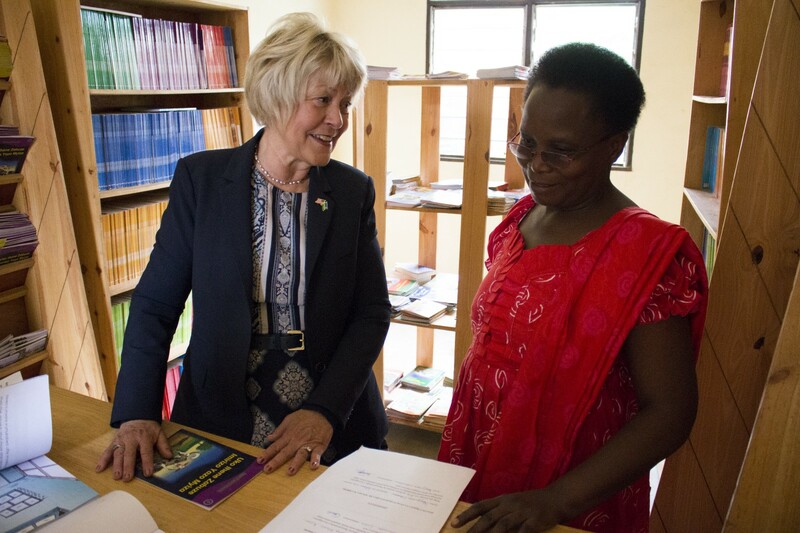 The United States invests $18 million each year to support reading in Rwanda. 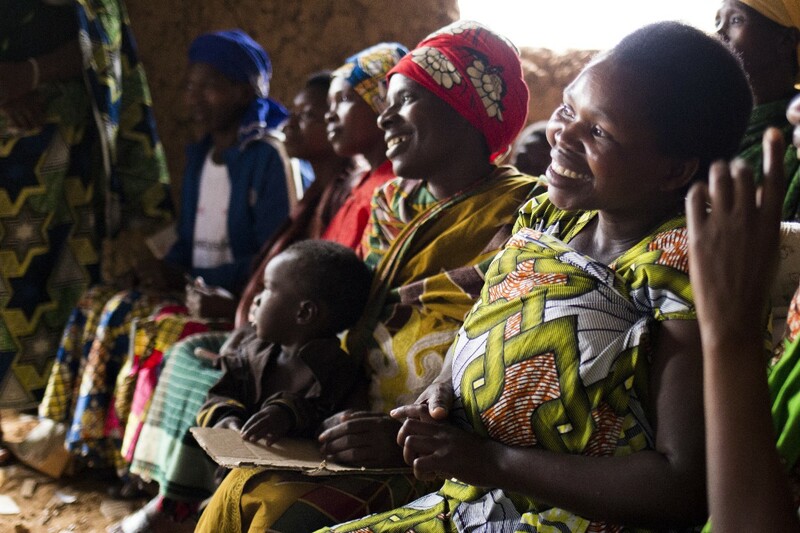 This support, expertise, and advocacy impacts the literacy of Rwanda’s youngest citizens. 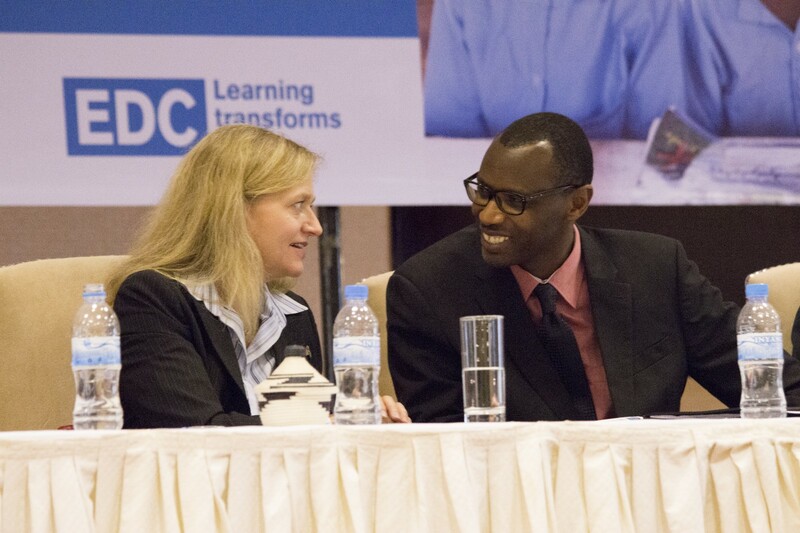 At a literacy conference hosted by USAID partner Education Development Center (EDC), the Rwandan Minister of Education, Dr. Papias Musafiri, and the U.S. Ambassador to Rwanda, Erica J. Barks-Ruggles, speak about the successes of the past few years to improve childhood literacy, such as a 10% increase in the number of first graders able to read a single word. The conference is also a time to identify challenges, such as building students’ reading comprehension, and to strategize for continued progress. To learn to read, children need lots and lots of practice, which requires lots and lots of books. During my second day, I see books in use in the classroom and books in production at an authors’ and illustrators’ workshop. At a primary school in Rwanda’s capital, Kigali, teacher Clementine Kayiganwa moves about her classroom engaging her first grade students in conversation about the story they are reading. 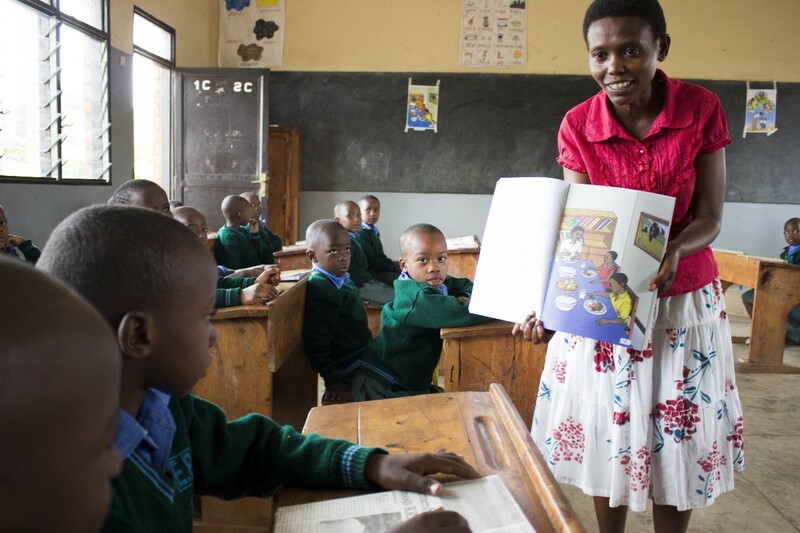 Children learn to read best and fastest in the language that they speak at home, so USAID helps produce, publish, and distribute these textbooks, which are written in Kinyarwanda and are brightly illustrated with Rwandan characters and landscapes. Just as important is training head teachers in book management and helping them understand that children need access to books. Teachers also need more time for reading instruction. Head teacher Dancile Mukacyemayire gives me a tour of the school library where children may check out books in Kinyarwanda to take home to share with their families. 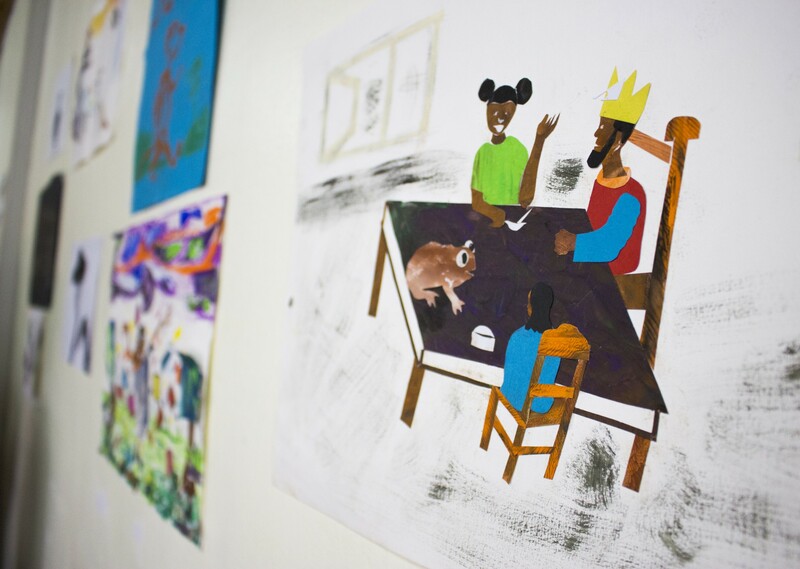 USAID is engaging with authors, illustrators, publishers, and booksellers to support the creation and development of books in Kinyarwanda so that children can read stories about Rwanda, by Rwandans, and in the Rwandan language. 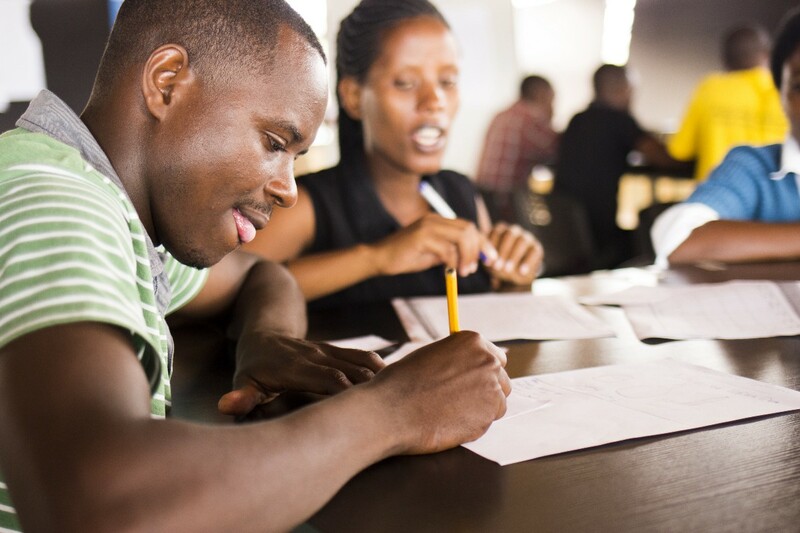 With funding from USAID, Save the Children brings in experts to provide workshops on innovative techniques for budding Rwandan authors and illustrators. The day I visit the workshop, illustrators are practicing illustrations using mixed media collages. A local Kigali bookseller, Mutesi Gasana, is animated as she talks about marketing children’s books to parents through a “chocolate book” campaign that encourages them to purchase books for their children instead of chocolate treats. 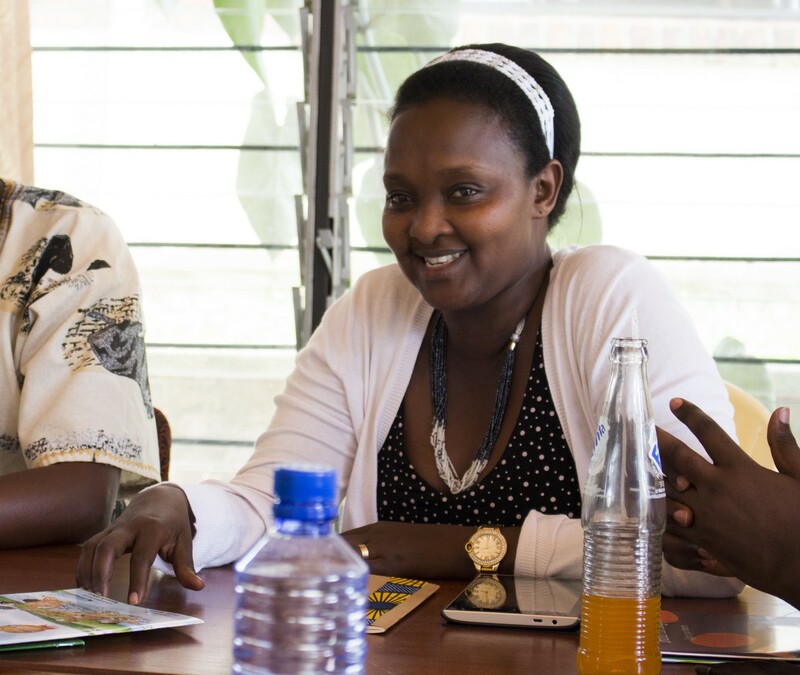 With USAID funding, Save the Children, in partnership with the Rwanda Education Board, Rwanda Library Services, and the Rwandan Publishers and Booksellers Association, is working to increase the number of quality Kinyarwanda children’s books on the market. These books will help fill the gap that is holding back children around the world — including Rwanda’s children — from reading fluency and comprehension. To find out what children want to read, they’re conducting a survey. One of the most popular books, Bobo n-igare, features a boy on a bicycle pedaling the familiar lush hills of Rwanda waving at cars, trucks, boats, helicopters and airplanes. Education is opportunity, and for out-of-school youth, reengaging in education is a second chance to gain the workforce skills needed to improve their livelihoods. Two-thirds of Rwandans are below 30 years of age. Their primary school completion rates are low, but these young people will play a transformational role in their nation’s development as members of the workforce and as parents who will expect quality education for their children. 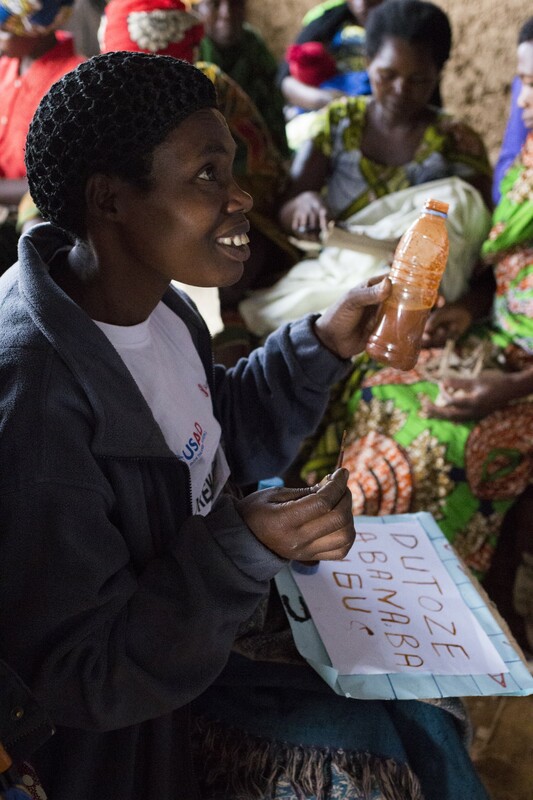 Through the USAID-funded Akazi Kanoze project (“Good Work”), our partner EDC helps these youth learn employment “soft skills,” like time management, conflict resolution, and entrepreneurship. At the One Dollar Campaign Hostel, young adults who survived the genocide talk about the opportunity they have to live like a family in a dormitory with other survivors who lost their families and their homes during the genocide of 1994. This Akazi Kanoze site also provides youth with hands-on experience with the skills they’ll need as successful employees or skills they’ll need to start businesses of their own. These programs help youth make the transition to college or to work using business simulations in class and internships in the business community. Later in the day I visit Akazi Kanoze graduate Juliet Nyirangendahimana who is putting her entrepreneurship training into practice. After learning how to start a business, she opened two preschools, and she’s hoping to open a third. Her business provides jobs as well as learning skills for young children. As I saw throughout my visit, all levels of the education system — parents, communities, teachers, principals, publishers, vocational schools, and government officials — Rwandans coming together to support learning. 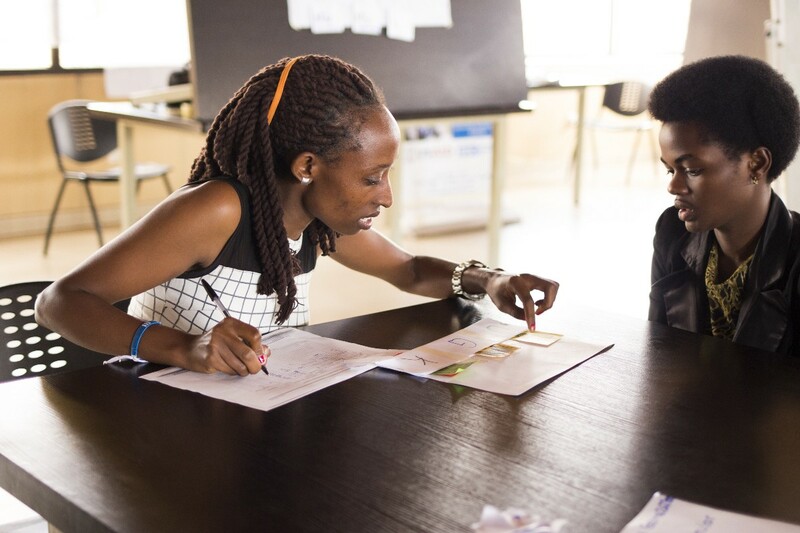 Whether it’s the chance for children to learn to read at home and at school in their own language, or whether it’s youth learning the skills they need to become entrepreneurs and workers in Rwanda’s growing economy, this country is leveraging education to create opportunities. 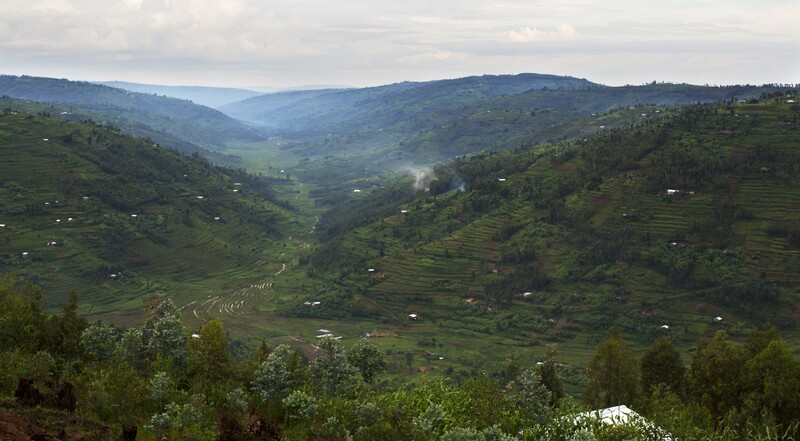 That coming together — or “umuganda” as they call it here — to support education is what makes Rwanda remarkable, indeed. How USAID is working to address the global education crisis.